Everyone’s calling it the “Prince George effect” — Prince William and Kate Middleton’s 2-year-old son George, who’s heir to the throne, made more of a media splash this week than his parents for his meeting with the Obamas. Now, everyone wants to dress up their own children just like this young royal, who got to meet the president in his pajamas. The little prince got to stay up a little past his bedtime to meet the president and first lady on Friday night at Kensington Palace, where his parents had hosted the Obamas for dinner earlier that evening. Since then, the bathrobe George wore has sold out. In this meeting, which President Obama aptly described as “adorable,” George wore velvet slippers and blue gingham PJs. And while his white personalized bathrobe with blue trim may have sold out yesterday, you can still snag your own. 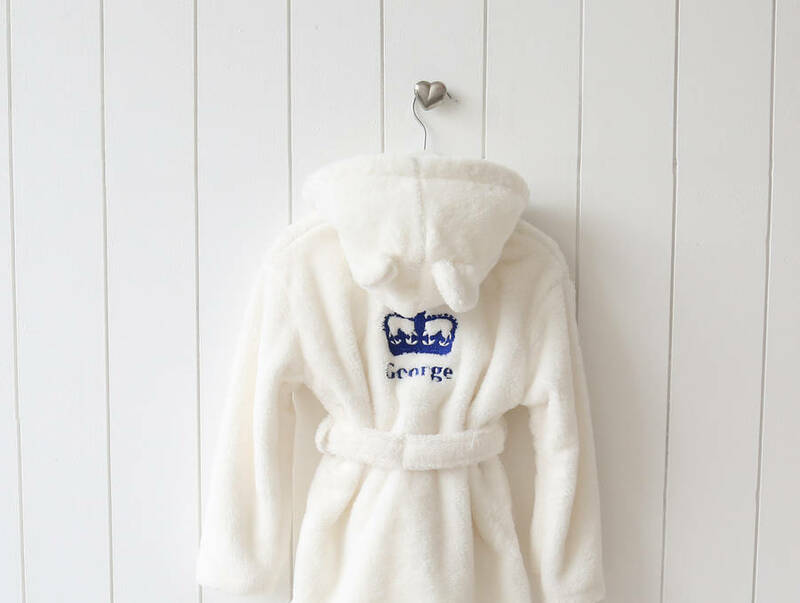 The company that made George’s bathrobe, My 1st Years, just shared a link where you can preorder the same princely robe for around $39. Because who wouldn’t want their kid to look like a little royal meeting the president in his PJs like it’s no big deal? “We can’t believe Prince George wore our robe to meet President Obama! Doesn’t he look adorable? !,” My 1st Years wrote on Facebook, adding that people had “gone crazy for it,” quickly ordering up all the robes in stock. Prince George mania has been in full force since the prince’s birth, when the bird-printed blanket William and Kate wrapped around him on his way out of the hospital sold out almost immediately. The photos of the young trendsetter serve a higher purpose, though — reinforcing the strong ties the Obamas have formed with the royal family. Kensington Palace thanks them for the rocking horse George can be seen riding in one of the photos on Twitter, a gift from the Obamas when he was born. And if you look closely at the coffee table, you can see that there’s a stuffed dog resembling the Obamas’ dog Bo, another gift when George was born. George’s little sister Princess Charlotte missed out on all the fun, sleeping through the Obamas’ visit.